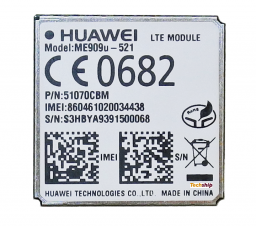 Are you sure you want to subscribe to updates for Huawei ME909u-521 - 4G/LTE- 3G/HSPA+ DC LGA Module - EU/ASIA? The Huawei ME909u-521 (ME909E) is an LTE module with a 145-pin LGA form factor, supporting seven(!) LTE FDD-bands. Quad-band DC-HSPA+ and quad-band GPRS/EDGE for European network coverage is included as fall-back. With their ultra-compact design and extended operating temperature range, ME909 and it's siblings are the perfect platform for any M2M application. Please check out our article 10218 Huawei ME909u-521 developer kit for test and development. When performing a FOTA upgrade or a local FOTA upgrade, please make sure to download the delta file corresponding to the current firmware of your module. This document describes AT command interface specifications that is supported by Huawei cellular wireless product ME909u-521 V1R2 module (starting from FW version 12.631.07.01.00). Please read the release note released with the firmware software before using ME909 wireless module and this document. This guide contains sequences of AT commands and instructions on how to perform certain tasks. This archive contains a 3D drawing of the LGA module ME909u-521. A program to display .STP files, for example CATIA. This document describes the difference in the AT Command specification between the ME909s and the ME909u. document also contains examples and relevant description. This document describes the hardware application interfaces and air interfaces provided by HUAWEI ME909u-521 LTE LGA module. This document helps hardware engineer to understand the interface specifications, electrical features and related product information of the ME909u-521 module. This document describes AT command interface specifications that is supported by Huawei cellular wireless product ME909u-521 V1R1 module. 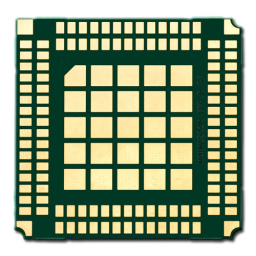 This is the datasheet for the Huawei module ME909u-521 LGA. This document describes the brief hardware information of ME909 series module. This document helps hardware engineer to understand the interface specifications, electrical features and related product information of the ME909 series module. This archive contains the documents that declares the Huawei ME909u-521 CE RED and RoHS Conformity. This archive contains the CE certificate including the reports related to the certificates. They include Safety, RF, EMF, and EMC reports. This archive contains the GCF certificate for the module ME909u-521. A software to open .rar files. This is the official FW which enables the GPS function of the ME909u-521 module. Release notes are included in the package. Compatible with Linux and Windows. 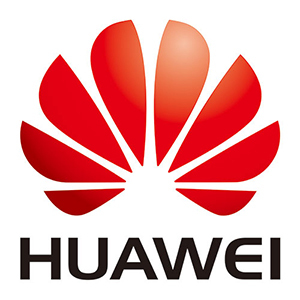 This archive contains the release notes and firmware updater tool to upgrade the Huawei module ME909u-521 to version 12.636.12.01.00. The archive contains both the .exe for Windows and .BIN for Linux. This is the firmware update for the module ME909u-521. The .zip contains updaters for both Linux and Windows. It also contains the release notes. This archive contains the delta file to perform a FOTA or local FOTA update between the firmwares 12.631.07.00.00 ti 12.636.11.01.00. An ME909u-521 module with firmware 12.631.07.00.00 and a way to send AT-Commands to the module. This archive contains the delta file to perform a FOTA or local FOTA update between the firmwares 12.631.07.00.01 ti 12.636.11.01.00. 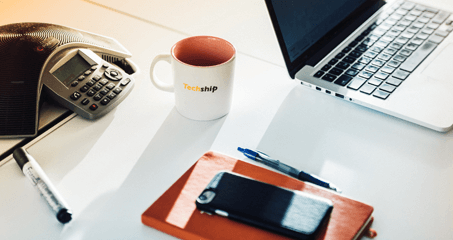 How to activate the data connection for Huawei cellular modules over the USB network interface in Linux? Bus 001 Device 005: ID 12d1:1f1a Huawei Technologies Co., Ltd.
usb 1-4: Manufacturer: Huawei Technologies Co., Ltd. The command ifconfig list all network interfaces loaded in the Linux system, the cellular module interface can be named differently depending on the distribution used but generally named usb0, wwan0 etc. initially. Enter the SIM PIN code if such is needed for the SIM card inserted. Activate the data connection over for the network interface visible to host system using APN profile 1 previously created. Once ^NDISSTAT:1,,,"IPV4" or (^NDISSTAT: 1,,,"IPV6" or if IPv6) is returned it indicates that you now have a active data connection to the network operator over either IPv4 or IPv6 or both. bound to 2.69.217.204 -- renewal in 244094 seconds. You now have a working cellular network data connection in your Linux system. PING www.google.com (74.125.131.147) from 2.69.217.204 usb0: 56(84) bytes of data. This is the basic way of bringing up the network interface. 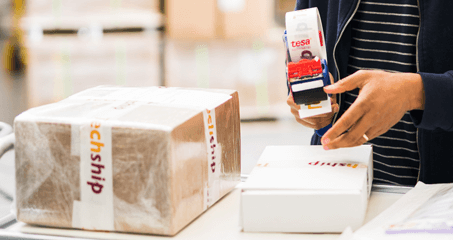 Additional checks and probing should be added in the control software or script if the process is to be automated. For scripting e.g. 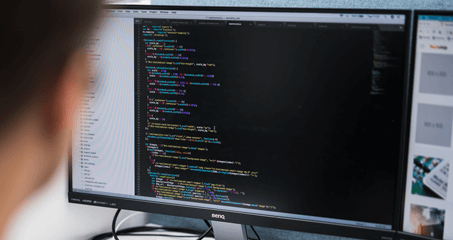 Python or other language can be used to setup the connection. I want to use the ME909u-521 with LTE radio access technology only. I use the command AT^SYSCFGEX="03",40000000,2,4,40000000,"","" or similar, but the module won't lock to LTE only. Since voice was included as a feature in this firmware, Huawei have removed the feature to lock to LTE only. The reason is that the majority of the current LTE networks doesn't support VoLTE (voice over LTE). The way the ME909u-521 solves this is by using a technology called Circuit Switched Fallback. This requires the use of the WCDMA or GSM network. Therefore the module won't allow blocking theses technologies. The problem with voice still exists, so the module will need to do a Circuit Switched Fallback to handle this. With this firmware, Huawei introduced the command AT^CEUS, which can set the module in either data centric mode (1) or voice centric mode (0). If the module is in data centric mode, there will be no need to use the voice feature. Then the module can be locked to LTE. If you want to use the voice feature of the ME909u-521, you cannot lock to LTE at the moment. I want to use the diagnostic port on the ME909u-521. I want to use the diagnostic port on the ME909u-521. Can I do so? The diagnostic port was open on the ME909u-521 until the firmware 12.636.11.01.00. If you want to use the diagnostic port you'll need to contact us so we can give you the shell codes to unlock the module. The shell codes are generated by the IMEI number on the module. The command to open the diagnostic port is the command AT^SHLOCK. Send the AT Command AT^SHLOCK=1, to open the diagnostic port. The port will close when the module is power cycled or restarted.